The Belfast Royal Academy is the oldest school in the city and was founded by the Rev Dr James Crombie in 1785 as Belfast Academy. 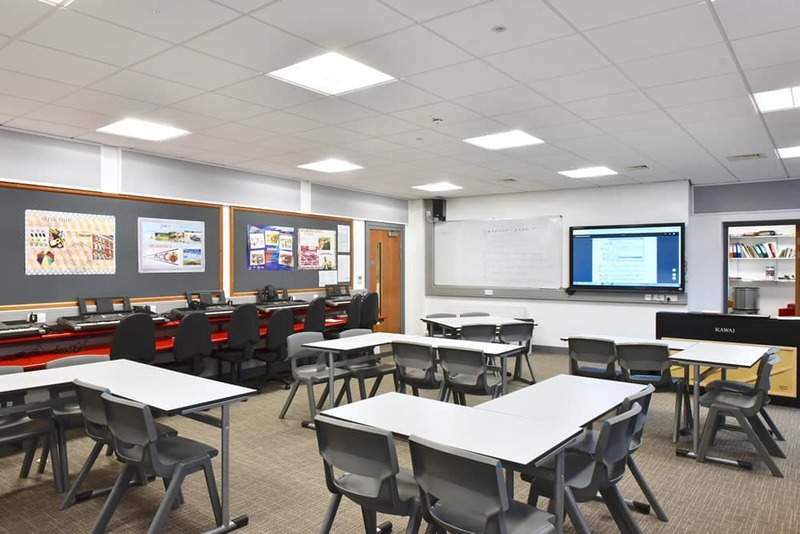 The school has clearly seen many changes since then and this latest scheme represented a major capital project under the School Enhancement Programme (SEP) to significantly modernise core facilities. 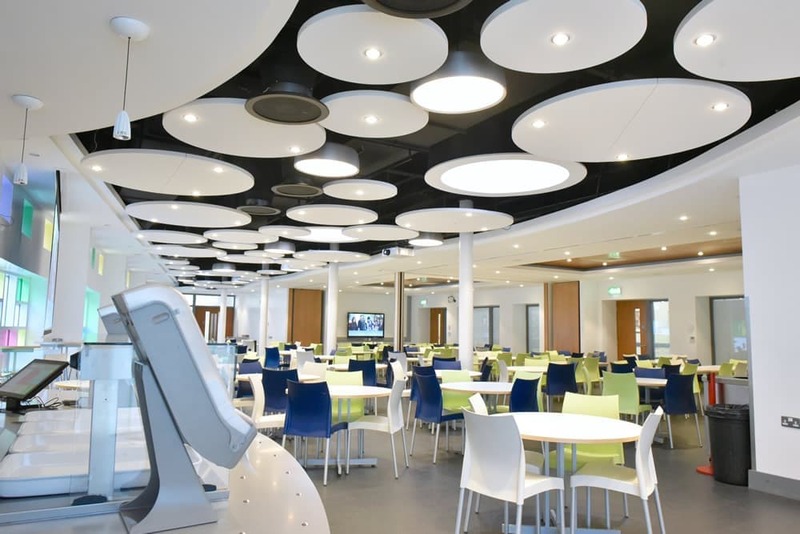 The works included the provision of a purpose-built music suite, a new dining area to serve as a relaxing social space for pupils (and to accommodate meetings and functions), a new business studies classroom, learning support suite and refurbishment of the home economics suite and toilet facilities. 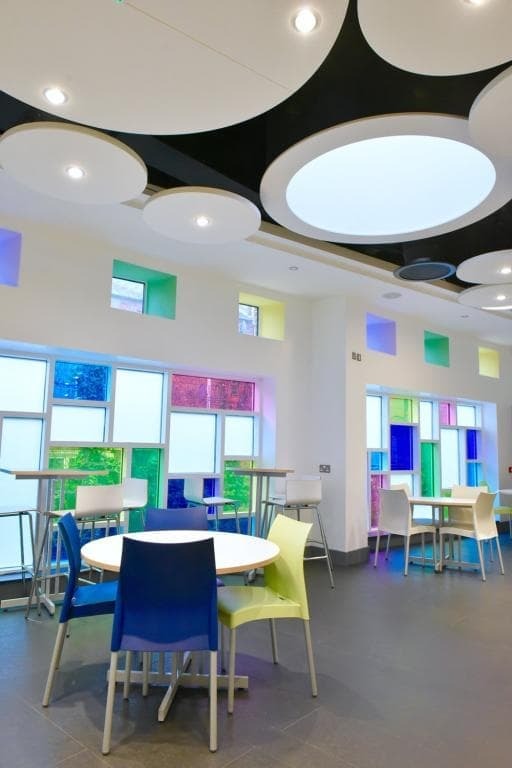 To facilitate the works and minimise disruption and safety risks to the pupils, we completed construction in 5 stages. The least disruptive works were planned during term time in 3 phases and allowed for phase 1 works to install temporary accommodation and toilet facilities, decant pupils and demolish the old toilet block. 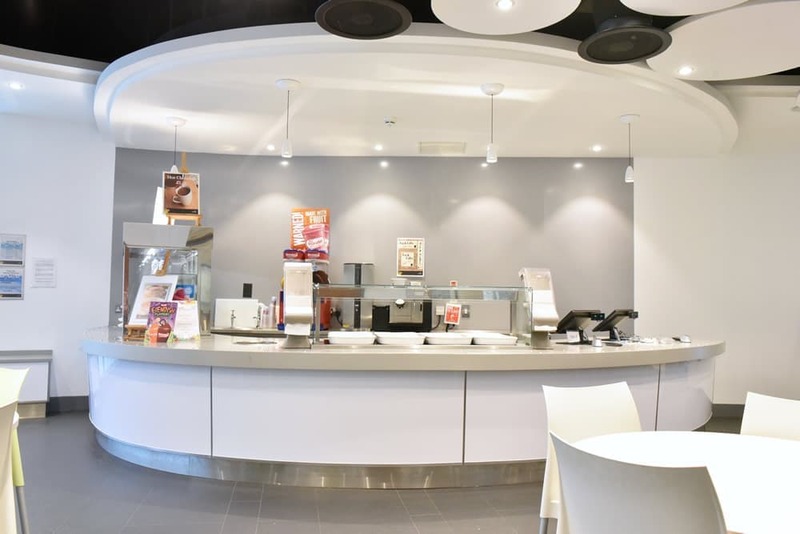 The vacant space was combined with an existing courtyard and the new dining and multi-purpose areas built. Phase 2 involved construction of a new 2 storey extension providing 3 music studios and ancillary accommodation including group rooms, a recording studio and classrooms (all linked to the existing William Sillery Building) while phase 3 saw the removal and refurbishment of the bespoke ‘Sailcloth’ ceiling in the Assembly Hall in Darbyshire Building. 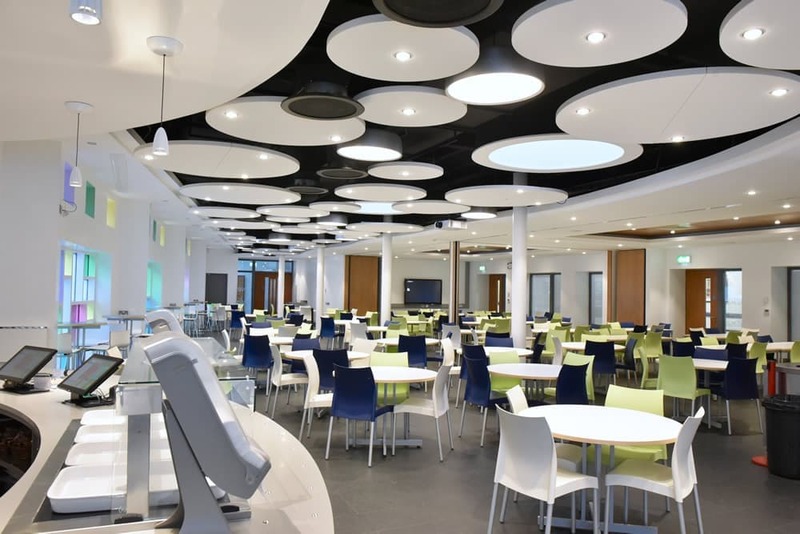 All remaining works were then scheduled over the summer holidays and allowed for phase 4 full strip out and refurbishment of existing rooms to provide state of the art facilities and final phase 5 works to develop the learning support accommodation by fully refurbishing the ground floor of existing Darbyshire Building. 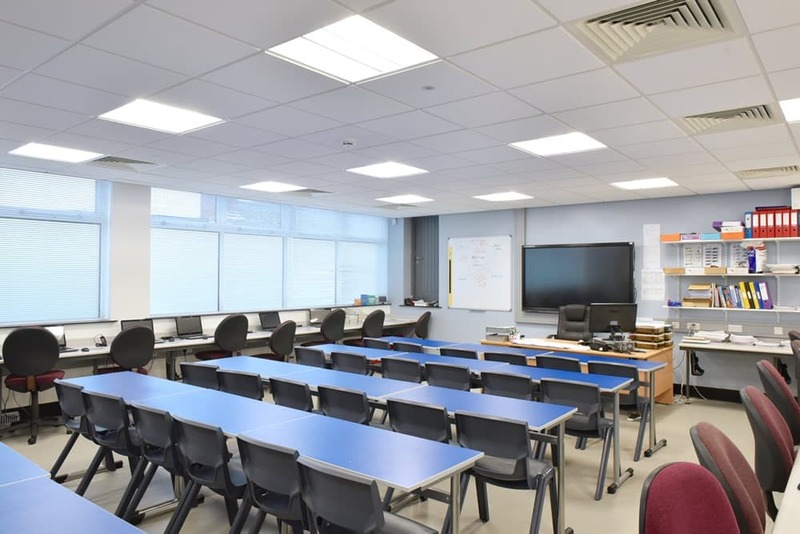 Asbestos removal in the home economics’ and learning support areas was successfully completed with programme restraints through early liaison with the school, asbestos removal specialists and issue of notification to the HSE within required time constraints. Noisy works were programmed to take place at times which would cause least disruption to school daily activities. On a number of occasions, we planned and agree ‘Quiet Days’ whereby works ceased in locations within close proximity to exam centres. Highly effective segregation of works completed during term time. 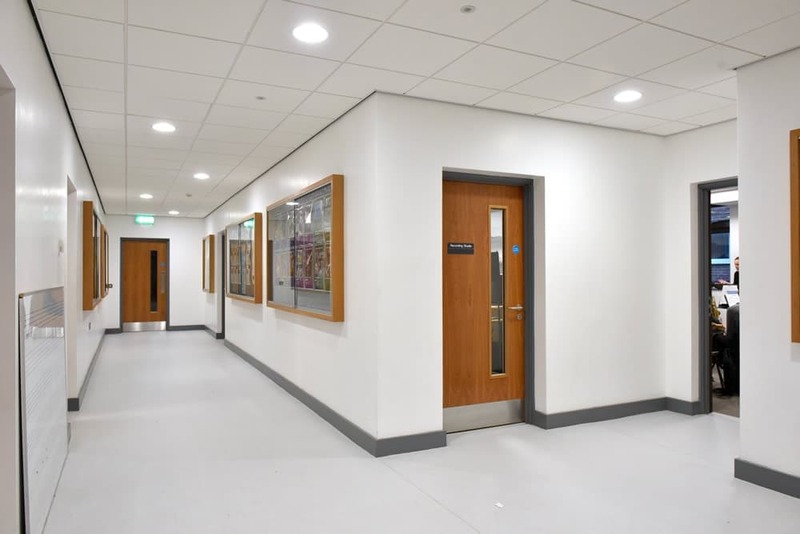 We provided temporary access to work areas by strategic closure of classrooms and formation of new openings in walls (made good on completion) to provide enclosed access routes whilst still maintaining the fire strategy of the school.